Next month’s gruelling four-test campaign in India is not just a chance for the Australians to re-write an ugly recent history in India and the subcontinent. It is also, for a number of players, an audition for a home Ashes series that is only ten months away. Of course, this audition process arguably commenced at the start of this home summer in November against South Africa. Since then a line has been put through Adam Voges’ name with the selectors’ thickest red pen – and confirmed with his subsequent Test retirement. While question marks have been raised over Peter Nevill, Mitchell Marsh, Joe Burns and you could argue Nathan Lyon is no longer perhaps the certain starter he once was. Though he has been included in the squad for India, Shaun Marsh has been put on the backburner since injury, and how much Test cricket he will play post-India tour is a large unknown. The limited match time for South Australian pair Callum Ferguson and Joe Mennie is almost an admission from the selectors that they got it wrong. While neither are out of the frame completely, you’re probably not going to see them back in national colours again in the short-term. And for the 32-year-old veteran of one Test in Ferguson, perhaps never again. Australia will only play a maximum of two Tests between the series in India and the home Ashes beginning in November. The re-scheduled tour of Bangladesh looms as likely in the middle of the year as a result of the abandoned tour in late 2015, but official dates are yet to be confirmed. It’s quite interesting how most Test series seemed to be played with one eye on the series following it. While all the attention will be on a huge series in India where a frightening hoodoo hovers over the Australian side, there will no doubt be some forward-thinking from the selectors as to the make-up of the Ashes squad. Right now I look at the Australian Test camp and can really only see four certain starters in that group, and there’s probably no prizes for guessing correctly either. Those four are Australia’s two best batsmen, David Warner and Steve Smith, and its two best quicks, Mitchell Starc and Josh Hazlewood. 25-year-old Peter Handscomb has made a sparkling start to his Test career, notching two fifties and two centuries from just four matches. His brilliant form combined with his rare ability to play spin, leaves him well placed to contribute heavily in India, and it would be very surprising not to see him in that Ashes squad. 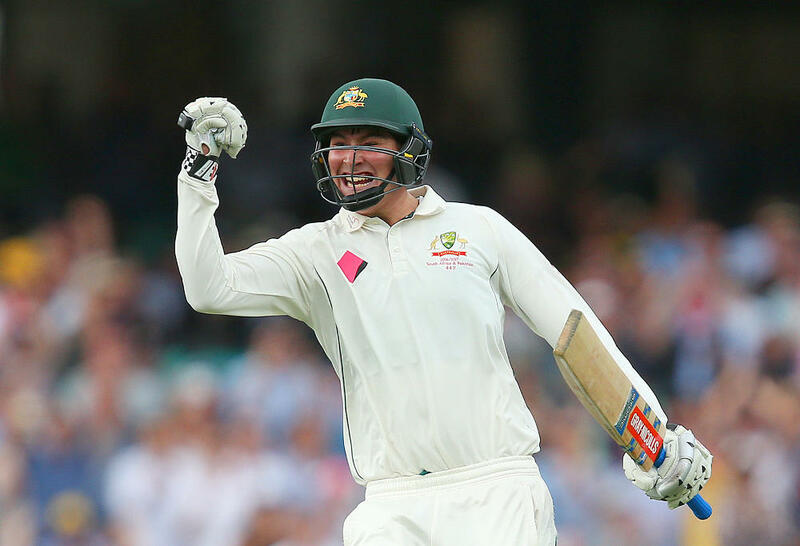 Likewise for opener Matt Renshaw, whose more than solid entry into Test cricket means he only needs more strong performances in India to hold his place. No doubt all batsmen in this squad will be determined to not put a foot wrong, as more first-class runs from those in waiting, such as Kurtis Patterson or Travis Head, could add to the pressure of selection. The wicket-keeping position could be retained by Matthew Wade, who seems fairly safe at present. However, more failures with the bat will see the heat placed on his spot. Peter Nevill is still every chance for a recall, while there are the impressive youngsters in Sam Whiteman and Alex Carey, who could be right in the frame ten months from now. Lots of questions loom. Will Steve O’Keefe overtake Nathan Lyon as Australia’s most-preferred spinner? Is he nearly there now? Maybe Ashton Agar can let his bat and ball do the talking and justify a long-term place. The India series will reveal plenty about that. And just what will the fast-bowling situation be? Mitch Starc and Josh Hazlewood will continue to lead the attack, but who joins them will be anybody’s guess. More reliable performances from Jackson Bird with regular wickets will make him difficult to leave out. Yet the selectors and a portion of the Australian cricketing public will be sweating on the status of James Pattinson and Pat Cummins. Right now it is incredibly difficult to know where the fast bowling stocks will sit come the end of this year, and let’s not forget the swing master Chadd Sayers who continues to present his case with Sheffield Shield performances. We could see a young quick emerge at first-class level too. Names like Jason Behrendorff, Joel Paris and Chris Tremain have the quality to play Test cricket, so their chance may come. And then there’s the all-rounders – batting, bowling or perhaps neither. I’d expect Glenn Maxwell to play in parts of the Indian series, if not the whole thing. Strong performances from the Victorian could see him remain a part of the side, irrespective of the conditions. And I wouldn’t imagine there’d be too many Australians who don’t hope to see this. Well, maybe apart from Hilton Cartwright. 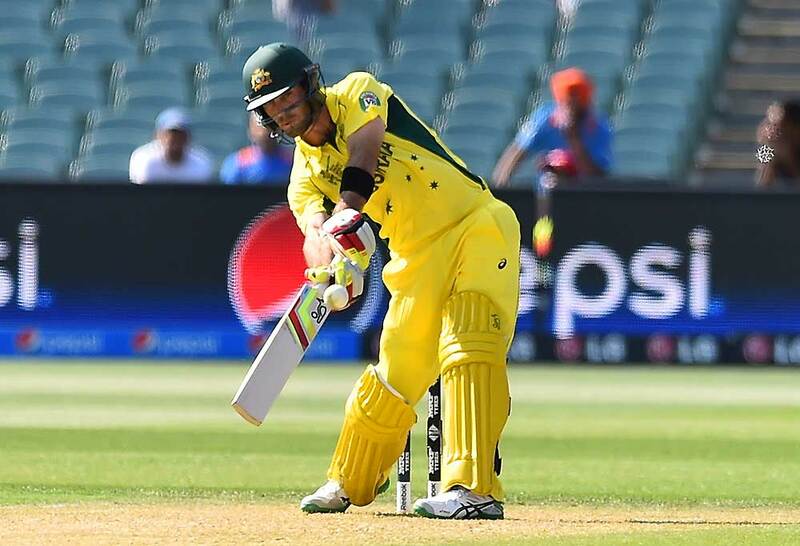 Mitchell Marsh will likely be in the mix. James Faulkner might continue to take his first-class game to another level and earn himself another shot at Test cricket too. There are just so many variables. We are now officially less than a month away from the start of the series in India, and no doubt so many keen fans will be following the numbers very closely. The auditions for Australia’s bid to regain the Ashes at home have well and truly begun. But predicting a squad right now? It’s almost impossible.